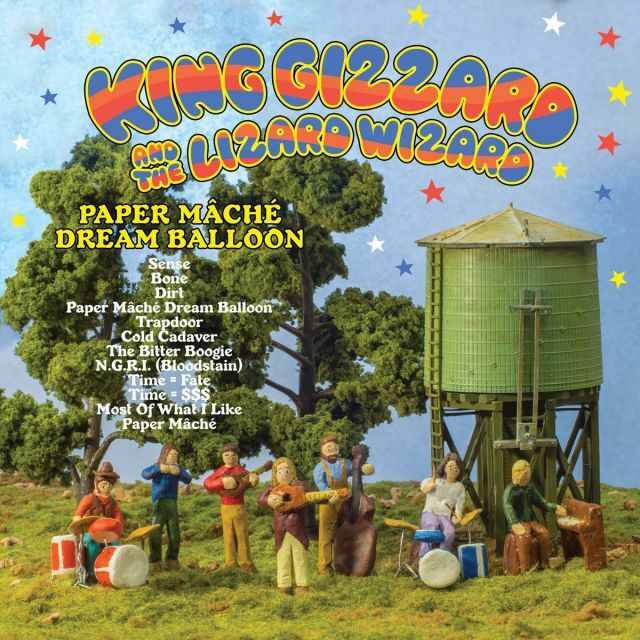 You never know what you are going to get from King Gizzard and the Lizard Wizard (KGATLW) and their latest album, Paper Mâché Dream Balloon, is no exception. While KGATLW seemed to be headed to a slightly more mellow place with their Quarters! album from earlier this year, after the much heavier chaotic psych release of I’m In Your Mind Fuzz in 2014, the latest one is ultimately another experiment and change in direction for the Australian psychedelic garage band.This turn was intentional according to the band. When the album was announced, frontman Stu Mackenzie said he was “starting to get over concept records” and “wanted to make an album with a collection of short unrelated songs.” He also wanted to “steer away from electric guitar music” and thus suddenly the concept-less album had a concept. From the album’s title, Paper Mâché Dream Balloon, to the artwork, featuring clay versions of the band members on some idealistic hippie farm, the album’s aesthetic is well-suited for a kid’s bedroom in the early 1970s. You would expect such an album cover to feature a collection of whimsical pop-laden songs, and while there is a sugar coated, dreamy vibe to many of the tracks, you certainly couldn’t lump them all into the same category, as you would expect from other KGATLW albums. The opening track “Sense” is unexpectedly jazzy and, even more unexpectedly, easy listening, but even as it mellowly drifts along there are disquieting bursts of urgent drums and uneasy strings in the background, a recurring theme on several tracks. After “Sense” comes the plucky, flute laden “Bone,” which bounces along happily despite having somewhat macabre lyrics like “when my name is called I’m just a pile of bone.” The next song, “Dirt” is also flute-heavy and like “Sense” has a somewhat middle-of-the-road feel to it. Following “Dirt” is the title track, “Paper Mâché Dream Balloon.” Out of all the songs, this is probably the one the most belongs on that idyllic ‘70s children’s album with its gleeful optimism and breezy harmonies. 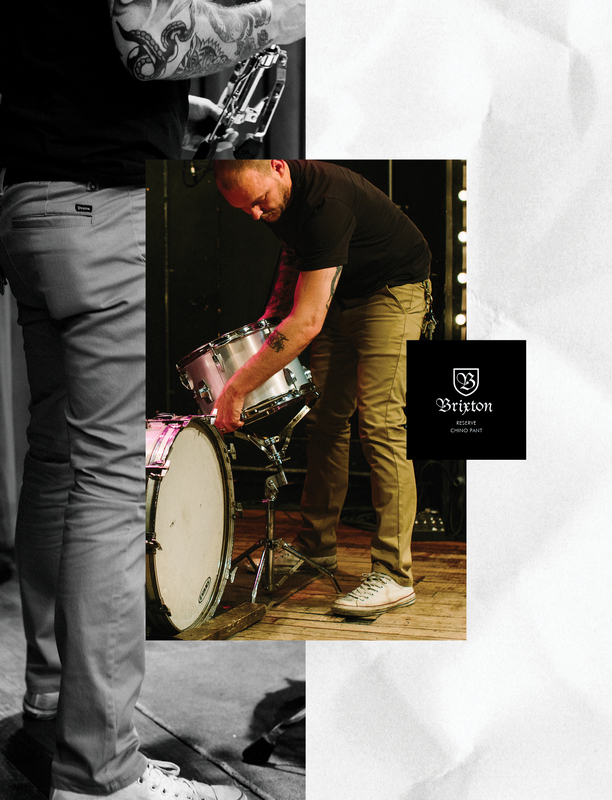 “Trapdoor” stands out on the album with its feverish pace, off-kilter harmonies and flute riffs. There is a panic-inducing repetition of the title throughout the song, along with foreboding lyrics about people knowing to “hide themselves away to keep the beast at bay.” Immediately following “Trapdoor” is the longest track on the album at 4:31, “The Bitter Boogie.” This song is a bluesy romp with a definite nod towards the blues boogie band to which they are often compared, Canned Heat. Next is “N.G.R.I (Bloodstain)” and is one of my favourites. It’s a jaunty, almost a danceable little piano- and harmonica-infused anthem with some of the darkest lyrics on the album, like “all the demons that I summon wipe the blood off of the floor.” Creepy and chipper at the same time, it was made for a Manson Family gathering. There are two slightly more solemn 1960s throwback tracks that explore the nature of time, “Time = Fate” and “Time = $$$.” The song, “Most of What I Like” reels us back into the dream with retro, melodic harmonies before the album ends with “Paper Mâché’”– a flute recap and reminder of all of the previous tracks. At the end, maybe this album is still one that could have been found in an early ‘70s kid’s bedroom. Perhaps, the soundtrack for a forgotten Sid and Marty Krofft children’s television show that managed to be whimsical, psychedelic and surreal all at the same time.